In my view, Sweeney Todd is Stephen Sondheim’s best show and one of the greatest musicals of all time. It is dark, nightmarish and thrilling, and packed with tremendous numbers, from the comic to the cruel (often simultaneously) and from the tender to the terrifying. Watching it, you have no doubt that this is masterpiece of nervous laughter and sudden jolting shocks. Most of my colleagues raved about Jonathan Kent’s production when it opened in Chichester last year, but I had reservations that this welcome West End transfer doesn’t entirely allay. 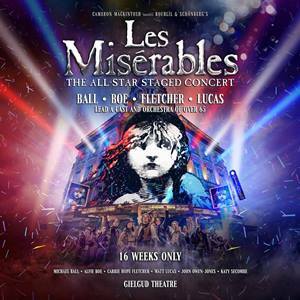 It strikes me as downright perverse that this grisly musical melodrama, which Sondheim specifically set in 1849 and which creates a Dickensian atmosphere of 19th-century London, complete with a beadle and a hellish scene set in a Victorian lunatic asylum, should have been updated to the 1930s. And Kent’s production doesn’t always achieve the hurtling momentum required by a show inspired by horror films and their scores, which Sondheim has described as “a movie for the stage”. But that is enough nitpicking. There is far more to commend than to criticise, and those lucky enough to be seeing Sweeney Todd for the first time will be blown away. 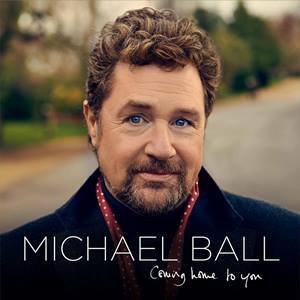 The great news is that Michael Ball, best known for cosy campery, is now tremendous in the title role. His fleshy, pallid face and lank dark forelock create an instant shiver, he has a splendidly brooding stage presence and the moment when he flips from a man with a legitimate grievance into a deranged psychopathic killer sends shivers racing down the spine. It is also impossible to praise too highly Imelda Staunton’s performance, as Mrs Lovett, the slatternly proprietor of a down-at-heel pie-shop whose business takes off when she hits on the ingenious idea of serving up Todd’s victims in pastry and gravy. Her customers become inadvertent cannibals as she dispenses, in one of Sondheim’s greatest lyrics, “shepherd’s pie peppered with actual shepherd on top”. What’s wonderful about Staunton is that she seems so sweet, funny and cosy, and her tender love for Sweeney is genuinely touching. Yet she is actually the real villain of the piece. You gurgle with pleasure at her every good-humoured, wickedly funny entrance, until her smiling face turns hard and her eyes go dead as she realises she must sacrifice the confused young boy she has befriended if she is to safeguard both her profits and her hope of marrying the psycho with whom she is besotted. Some of the supporting performances could do with more oomph, and Lucy May Baker seems particularly bland and vocally strained as the persecuted heroine. The band, however, is superb, while Anthony Ward’s design creates a vivid sense of urban deprivation and decay. But this Sweeney Todd will chiefly be remembered for its stomach-churningly gory razor killings, with blood squirting over the shop, and the thrillingly perverse chemistry between Ball’s terrifying demon barber and Staunton’s deliciously chirpy pie-maker.